It is undeniably a fitting connection to make between the illusory logic (or lack of thereof) of David Lynch’s seminal TV classic and the broken, cracking rhythm of Cruise [Ctrl]’s latest release. The menacing undertones of the source material that inspired …Are Not What They Seem are pushed to the forefront and no longer elusively tantalize but explode with a might of distorted havoc resulting in a record that is accessible, complex, and mystifying. 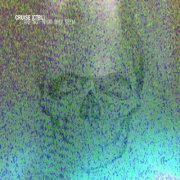 While the strengths of the show were encapsulated by the bizarre dreamlike course of its narrative and foreboding sense of evil lurking in the shadows cast by its characters, Cruise [Ctrl] is far less subtle, from the opening moments serving a mixture of ascetic techno and noisy, grinding textures. “Letters Under Nails” appears to constantly swirl while the determined beat keeps the listener’s focus in check, preventing him/her from slipping into the imminent vortex of cacophony. More approachable hints of electro enrich the following “A Man’s Attitude Goes Someway the Way His Life Will Be” before the track dissolves into an intricately woven tapestry of whizzing static. While the dynamism of each composition shifts, the overall method remains the same, finding Cruise [Ctrl] in a constant clash between the pulsating rhythm and unpredictable wall of distortions, menacing and ready to collapse over the structure of the intriguing “P 2 8 9 14 29” and “Animal Kit.” The album’s glorious peak comes in the form of “In the Heart of a Circle of Twelve Sycamores,” which balances its two ingredients – an electrifying club vibe and unstoppable metallic shrieks with a truly accomplished fidelity. Beyond the experiments with polarized yet symbiotic sounds, Cruise [Ctrl] offers two collaborations that introduce vocals to the industrial constructions. Neither Sigma nor Absolute Body Control’s Dirk Ivens change the experience substantially, but despite the latter’s “In Hell (Everything is Fine)” quiet and confusing fadeout, both tracks help to combat the potential monotony of constant musical assault. You might not care about the conceptual framework that lends this release its haunting appeal and the net of references will most likely go unnoticed, even if in the past you cared who killed Laura Palmer. However, regardless of your interest in the extension of Lynch’s modus operandi into the musical realm, you will be rewarded by the experience with …Are Not What They Seem, if only because Cruise [Ctrl] came close to perfecting the fragile balance between rhythm and noise and the masochistic pleasures of having your usual dose of electro contaminated by the intense layer of distortions.